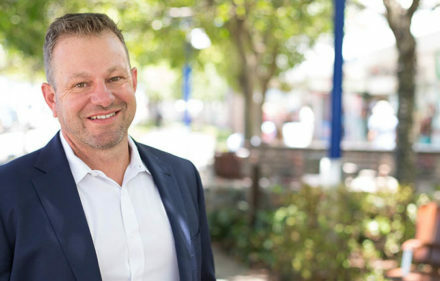 Geelong Cats CEO Brian Cook has a unique approach to the business of sport, embracing the idea that excellent people, leadership and planning are vital elements for building a great sports club. 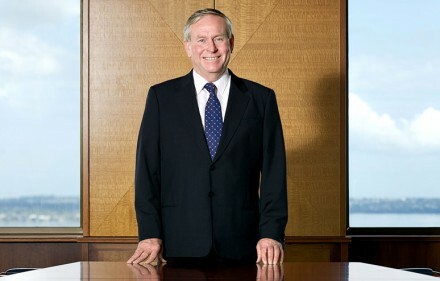 This approach has seen the Cats achieve huge success in his time at the helm, winning the premiership on three occasions. Mr Cook spoke to The Australian Business Executive to explain why character always comes above talent. Mr Cook moved to the Geelong Cats with the help of Frank Costa, the executive chair of the Costa Group. 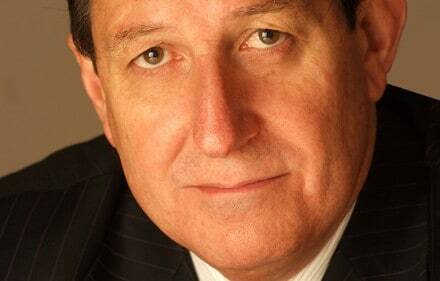 Mr Costa was Mr Cook’s first chairman at the Cats, recruiting him for the role of CEO at Geelong in 1999. When Mr Cook arrived, the club was in dire straits, turning over just $16m and sitting in $10m of debt, with a dilapidated stadium and a captain and coach who were both on the verge of leaving for pastures new. The club was also in the unsustainable position of having six players who were taking up half of the Total Player Payments budget. This put immense pressure on the salary cap, around $6m, meaning drastic action was needed to manage salaries. A careful combination of cultural and financial strategies was put into place to lift the club out of the mire, including the decision to begin hiring and firing with an emphasis on values, putting the inspirational words from Mr Costa’s office into practice. This resulted in the club parting ways with nearly 70% of its staff in the first two years of Mr Cook’s tenure, and in the first three years seeing nearly half the players leave. This huge turnaround laid the foundations for the rebuilding of the club with new priorities. Each stage of the build has required funding from a combination of federal government, state government and local government, as well as from the AFL and the club itself, meaning there has been nearly 20 different funding grants over the four stages. The stadium itself is a huge part of the club’s continuing plans to increase yield, with the club making about $900k profit per game, pulling in an average crowd of nearly 25,000, giving a yield of over $35 per head. The stadium at Kardinia Park was so dilapidated in 1999 that there was talk of the club playing its games in Melbourne. It has only been more recently that the ground’s longevity has been discussed, the idea being for it to become a regional hub of elite performance. These plans have been boosted by the sale of the naming rights to Simonds Homes in 2011, and in 2013 the stadium had floodlights installed for the first time, meaning it could begin to host night games. 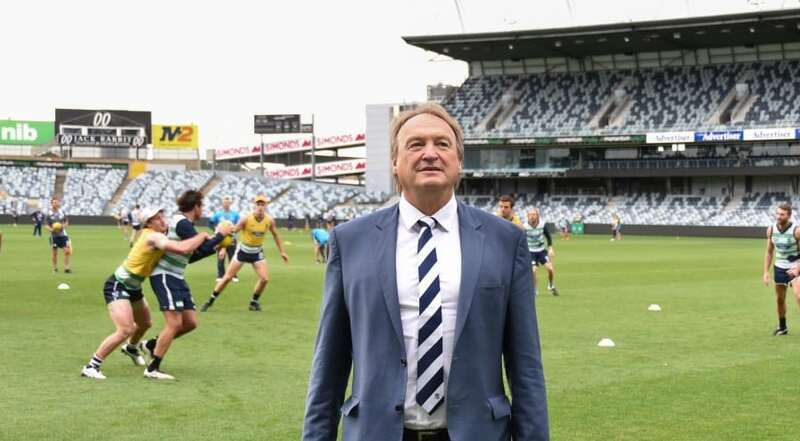 Mr Cook believes this is a huge plus point for the club, as any club’s core focus should not be on stadium maintenance and development, as it has been for Geelong for the last twenty years, resulting in the club’s activities being spread much thinner. 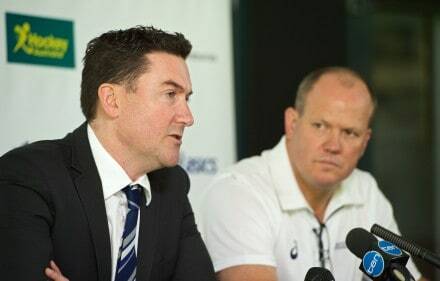 After many years with Geelong Cats, the defining moment of Mr Cook’s career came in 2014, when he was offered the chance to make a big money move to North Melbourne Kangaroos, an offer he declined after much deliberation. Seventeen years with the Cats has seen Mr Cook grow comfortable in the role, and at the time the decision needed to be made, he found he couldn’t leave, after being on the verge of deciding to do so. The key to his decision was the amount of time Mr Cook had put into helping to develop a fantastic team ethos, which he hopes can be embedded in the club for many more years to come. Such a culture can take a lot of time and dedication to create. For Mr Cook, the key to getting the best out of a sports club as a business is to first identify what the club’s competitive advantage is going to be, something he believes most clubs have still not managed to do. He admits, however, that in the equalised environment offered by the AFL, this is easier said than done. The league structure is intended to make it equally likely for each club to win the premiership, making it tough for clubs to develop true uniqueness. This way of working then becomes part of a club’s DNA, and over time it is cemented and improved upon. Geelong’s unique areas come from the club’s ability to attract and develop great people, to develop excellent leadership and culture, and to always have a great plan. For Geelong, the club is run on the basis of ‘character over talent’, prioritising the recruiting of the right people with the right attitude to the club. Mr Cook believes this ethos has been a main driver in the club’s growth and success over the years he has been in charge. Mr Cook cites Sydney Swans and Hawthorn Hawks as examples of two AFL clubs with great cultures spanning many years. It is no surprise that these two clubs, along with Geelong, are generally regarded as the top clubs in the league for player satisfaction. In addition, the club has staff members who follow the sporting landscape regularly to observe developments in other sports, with regular trips to the US to watch the NFL, as well as time spent observing rugby teams such as Scotland and New Zealand. Having begun his career back when the original Victorian Football League (VFL) became the Australian Football League (AFL) in 1990, Mr Cook has seen plenty of changes in the way the sport and the league is run. Mr Cook’s career began in 1986, when he started working for the Western Australian Football Commission, in charge of its football development area. Back in the 1980s, many elements of the game were significantly different from how they are today. This change in the level of broadcasting revenue is just one indicator of how big the sport has become in the last thirty years. The economic shifts in the game have been colossal, and Mr Cook has been around the sport long enough to have witnessed many first-hand. At the time of Mr Cook’s arrival at the Eagles, player wages were at an average of around $50k, whereas in 2015 players are for the first time in history demanding an average of around $300k to pull on the team jersey. The growth in popularity of the sport has been meteoric, with an AFL game now averaging 33,000 fans, the third highest average attendance of any league in the entire world, an astonishing achievement. The continuing equalisation of the industry has seen the AFL get closer to parity than any other sports competition in the world, with the possible exception of America’s National Football League. One of the biggest changes in the league currently is the digitalisation of the game, with more and more opportunities available for people to watch the sport and engage with their favourite teams. For clubs like Geelong, the question remains of how to go about commercialising the digital area, with social media becoming particularly important. Mr Cook admits to moving the club’s social media from its media arm to the commercial arm to reflect this importance. Geelong’s location as a smaller city just outside Melbourne has proved advantageous for the club, helping it avoid direct competition with the big clubs in the Melbourne region, which has traditionally represented the league’s stronghold. The club is in the position of being able to promote, capture and integrate with the community in ways other AFL clubs are unable to, a position it tries to exploit at every opportunity to maximise revenue. Research into the club’s fan base shows the club attracting nearly 50,000 members for the first time in its history, with around 26,000 of this number living in Geelong, about 18,000 in Melbourne and 6,000 in other parts of Australia, particularly regional Australia. These two arms of the club’s marketing are in Melbourne and Geelong. The club also boasts the league’s highest percentage of female members, with 40% of the club’s 50,000 members made up of women. With the global development of the game encouraging events such as Port Adelaide Power heading out to play in China, Mr Cook is aware of the pressure in the modern game to move the club from its local markets into the international sphere. Mr Cook believes the league should be aiming to have the game become the dominant code in every Australian state first and foremost, but agrees that China in particular offers great opportunities for clubs to grow their international brand. This bundle would need to include a significant amount of television and promotional activity, as well as offering the chance to recruit one or two Chinese athletes onto the rookie list of a number of AFL clubs. More important than any overseas expansion is the club’s community activity, the centrepiece of which is the Deakin Cats Community Centre at Simonds Stadium, which has seen about 240,000 people pass through in the last three years. In addition, the club regularly visits hospitals, schools and clubs to help out the community. All of the club’s players are involved in these visits, taking on ambassadorial roles in the club’s community strategy. As with any sports team, taking advantage of commercial opportunities is vital to sustaining financial stability. Geelong has benefitted from many such relationships, most notably its longstanding partnership with Ford. This deal is one of if not the longest in the history of sports, and represents a significant achievement for the club, something which can only be matched by high profile deals such as Wrigley’s sponsorship of the Chicago Cubs’ baseball stadium. The partnership with Ford has been fantastic for the club, in the early days, there were assembly line jobs given to the team’s players, as well as the players being provided with cars. Every year the partnership has grown. hugely benefitting both parties. More recently, Ford has ceased manufacturing in Geelong, but maintains a high sales and marketing presence in order to continue selling cars, meaning the strength of the relationship remains despite the change. The change in broadcast rights over the years has meant increased opportunity for corporate sponsors, with the club looking to increase levels of branding, marketing and sales through television, attendance and in particular social media. Mr Cook recognises the need for clubs to be aware of what corporate sponsors are working on, and how they can be linked with the club to create new campaigns to benefit both the club and the sponsor. The club’s continuing business strategy still very much runs along the lines of Frank Costa’s maxim about character, and within this the identifying of competitive advantages to bring the best out of a club. For Geelong this means finding great people with good talent and values, having great leadership based on humility, resilience and aligning people to a shared mission and vision, looking after stakeholders and collaborating internally. The main thread running through all of these areas of development is values, which is one of the most important elements the club considers in all of its dealings, making sure it has the right people with the right values. On top of values, the club looks to take advantage of its place in Geelong as the league’s only regional club, making sure the entire city is engaged with the club and the team to help breed success both on and off the field. 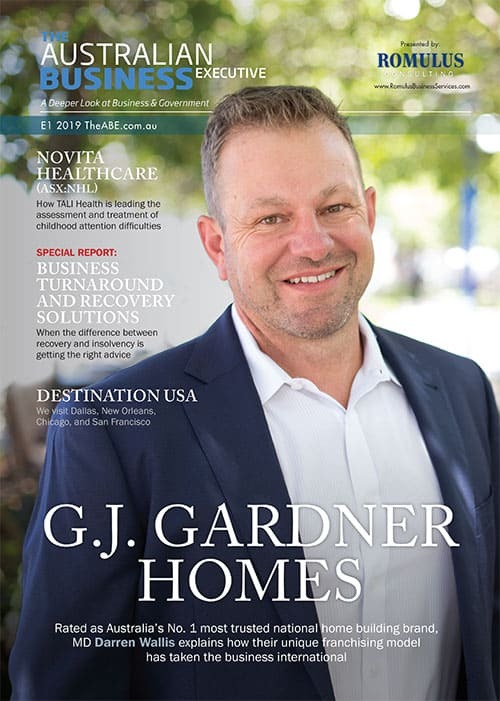 To read our full editorial profile, click on the cover image below. To view this editorial as it appeared originally in The Australian Business Executive magazine, click here.